- Injury report: For the Raptors, Patrick McCaw (sprained right thumb) and OG Anunoby (appendectomy) are listed as out. For the Magic, Mo Bamba (right quad contusion), Troy Caupain (coach’s decision), Amile Jefferson (coach’s decision), Markelle Fultz (thoracic outlet syndrome), and Timofey Mozgov (right knee surgery) are all listed as out. 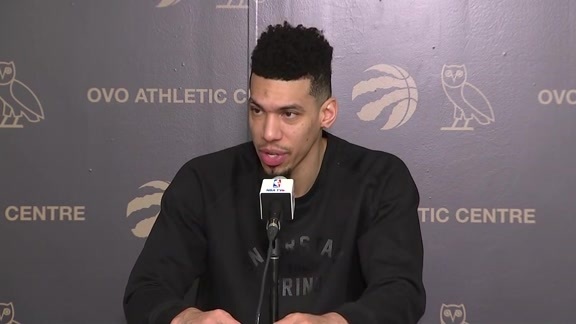 - Second season: The Raptors will open their postseason with a first-round playoff series against the seventh-seeded Orlando Magic. This is the second time these two teams have faced each other in the playoffs, with the Magic winning a first-round series 4-1 against the Raptors in 2008. While Toronto finished the regular season with a 58-24 record for its fourth consecutive season with at least 50 wins, the Magic finished with a 42-40 record to earn the seventh seed in the Eastern Conference in head coach Steve Clifford’s first season with the team. The Magic had a 17-win improvement this season, the largest turnaround in the league, and are back in the postseason for the first time since 2012. - Recent history: The two teams split the season series this year, with each team winning one road and one home game. In the most recent meeting, on Apr. 1, the Raptors defeated the Magic 121-109 at Scotiabank Arena behind a season-high 29 points from Danny Green who was on fire from beyond the arc. Green shot 11-for-15 from the floor, including 7-for-10 from deep as he scored his game-high 29 points in just 28 minutes. The Raptors had six players reach double figures and finished shooting 50 percent from the floor and 51 percent from the three-point line. Toronto connected on 19 three-pointers in the win, compared to Orlando’s 12 made threes. Evan Fournier’s 21 points led the Magic in the loss while Nikola Vucevic added a 13-point, 13-rebound double-double. - OG sidelined: The Raptors will be without OG Anunoby when their series against the Magic tips off on Saturday. The team announced on Friday that Anunoby had an emergency appendectomy on Thursday evening after being diagnosed with acute appendicitis. There is not a timeline for his return yet, but his absence will be felt by the team. 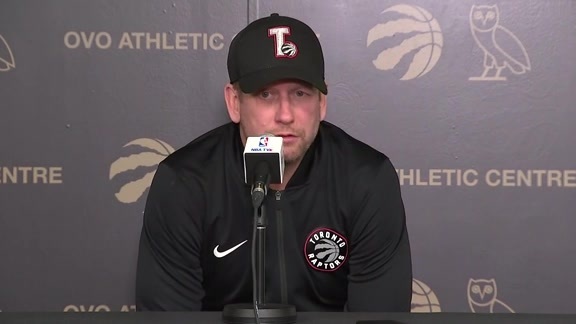 “My first thought is what a bad break for him, just bizarre timing, and it doesn’t even happen on the basketball court or have anything to do with it, so I feel bad for him,” Raptors head coach Nick Nurse said. “This is a team with a lot of size and OG is one of our size and length guys, so obviously we’re going to miss him. This would have been a great team for him to be out there for.” Though Nurse didn't have anything to share about rotations and matchups since hearing about Anunoby's status, he said they would get there in advance of Saturday’s tip.